Note: In this article, we have a Discount Group named Platinum that entitled all its members to have a 30% discount to ALL products in your online store. Step1. 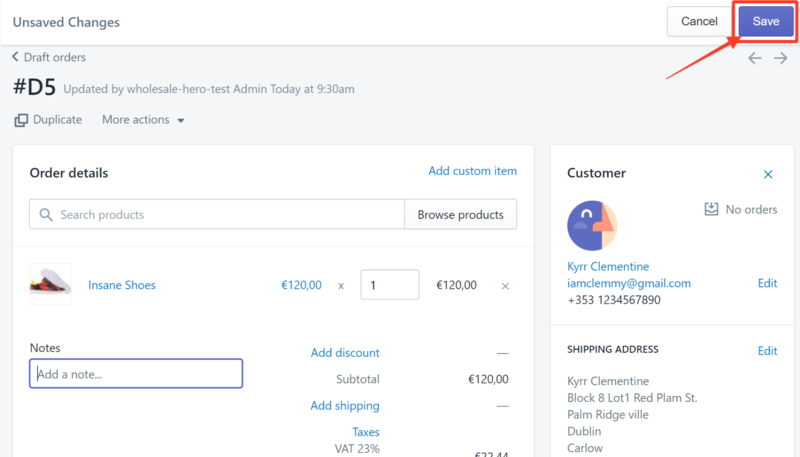 Go to Orders and then click Drafts on the Navigation Panel. Step2. 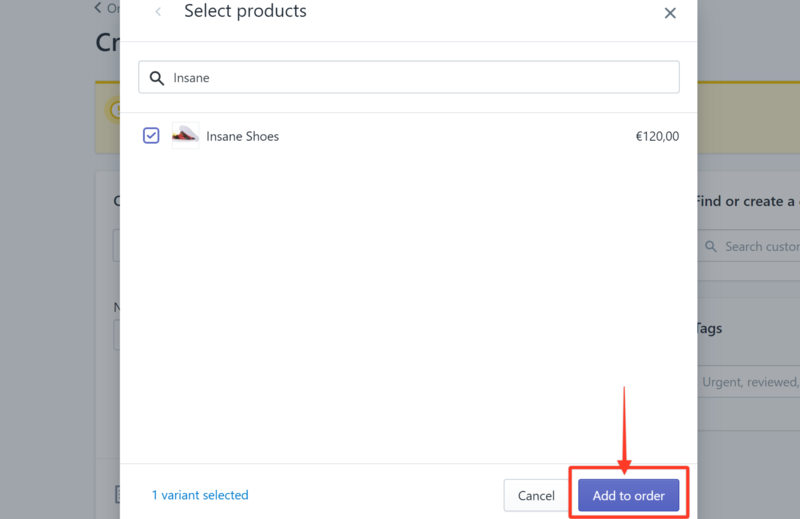 Click the Create order button. Step4. Enter the name of the product in the Search field and check its box when it populates. Then click Add to order. Note: In this example, we use Insane Shoes. Step5. Click on the Search customers field and choose the customer from the list. 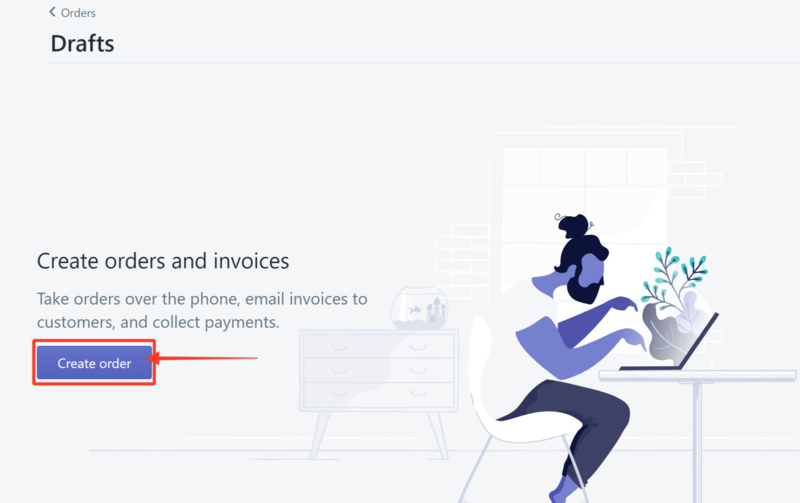 You can also create a new record if the customer is not yet on the list. The order is now manually added. Step7. 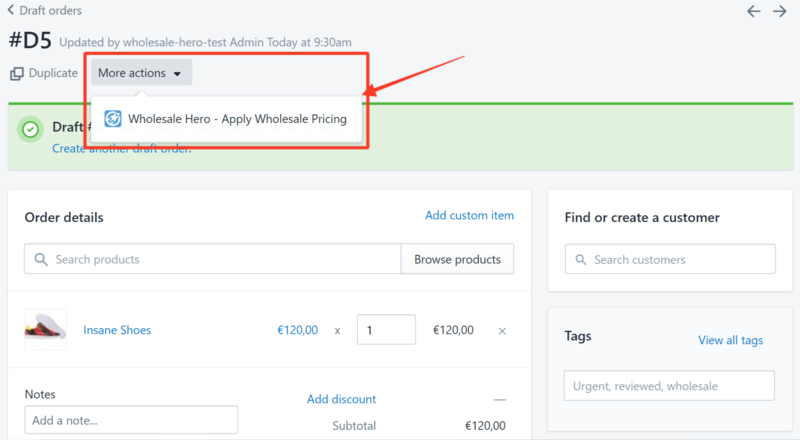 Click the More Actions drop-down arrow and choose Wholesale Hero - Apply Wholesale Pricing. 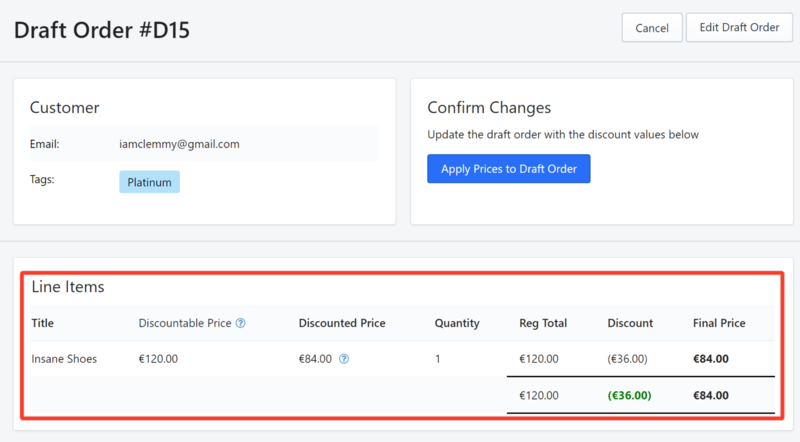 You will now see the Draft Order and the discount information for the customer. In this example, we have the customer tagged Platinum receiving a 30% discount. Step8. 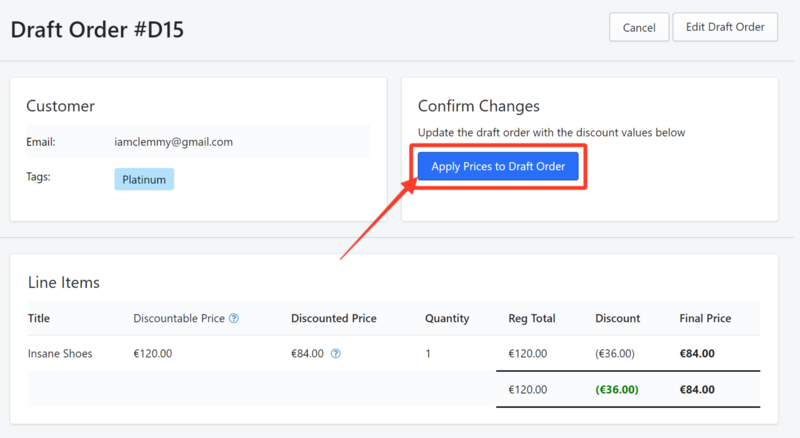 Click Apply Prices to Draft Order to confirm the changes. The app will then redirect you to the updated draft order. The draft order will now reflect the discounted prices. Step9. 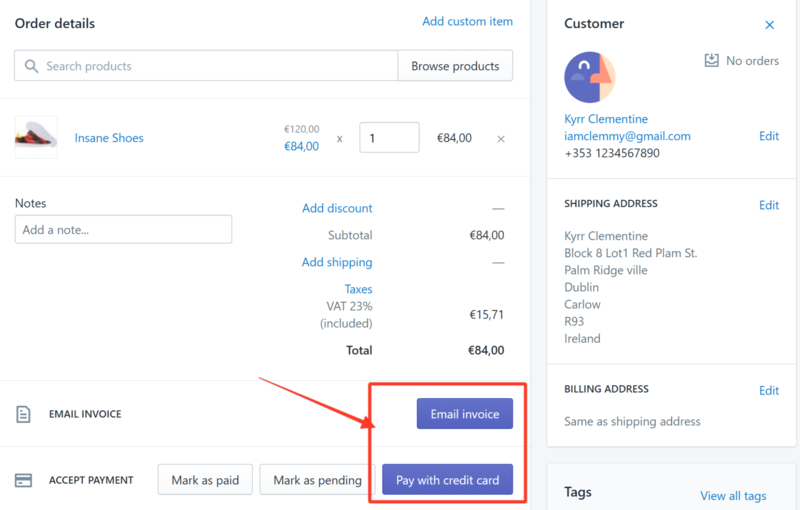 (Optional) You can now also send an Email Invoice or accept a credit card to complete the order.